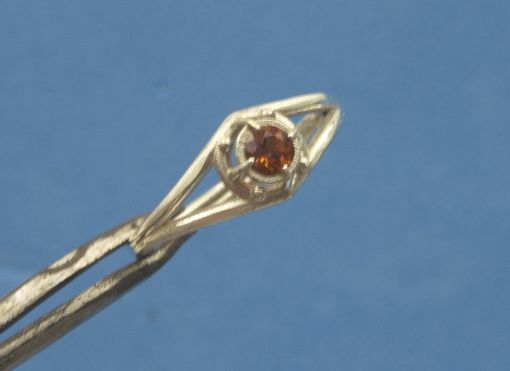 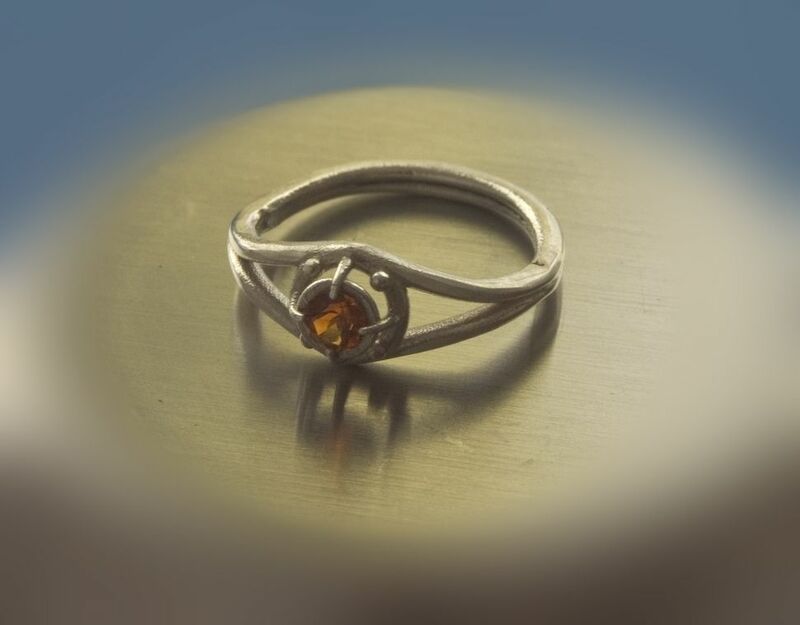 I made this solid sterling silver ring with a 3.5mm Fire Citrine and at the moment it is the only one in the world. 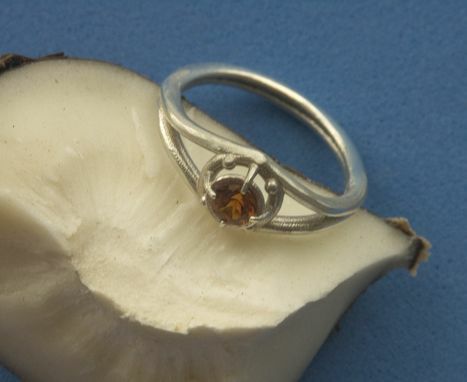 The band splits into two from the bottom up and captures the stone. It is a size four, perfect for the slim-fingered, or perhaps as a gift for a daughter or niece?